I made this card for a friend for her birthday. 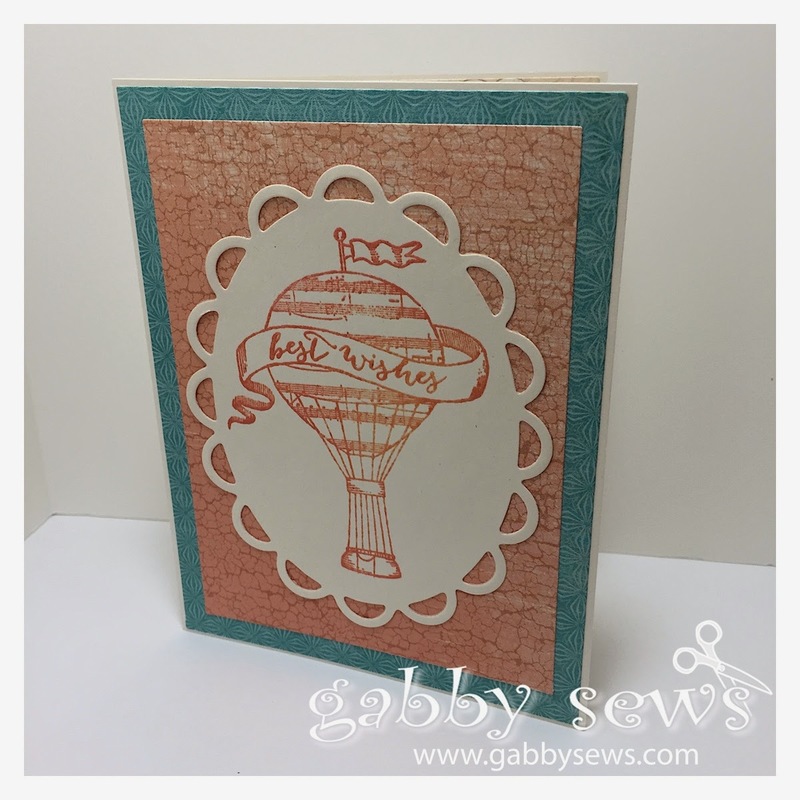 I cut the oval with Spellbinder's Lacey Ovals die and then stamped an image and sentiment from Close to My Heart's Give a Lift (D1581) stamp in CTMH Sorbet Pigment Ink (retired). I heat embossed the panel with Ranger Clear Embossing Powder. 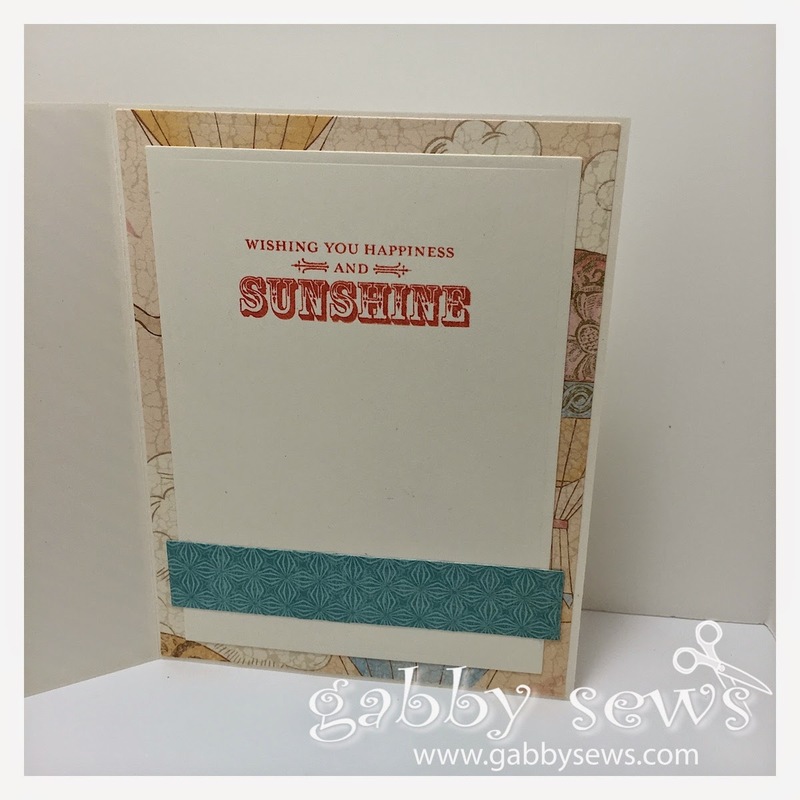 I stamped the inside with CTMH Sorbet dye based ink. I love using the coordinating dye based ink on the inside when I heat emboss something on the outside. It ties it together without having to wait forever for the pigment ink to dry. The papers are from CTMH's retired paper pack Balloon Ride. I loved that paper and this is just about the last of what I have. The card base is also from CTMH and is the Colonial White color.